as many as 775 decision-makers recently gathered for an international environment meeting, discussed some very important matters but ended up making little headway on any front. One of the key issues that could not be resolved pertained to improving environmental governance and related institutions at the international level. Delegates from 153 countries met in Jeju, South Korea, from March 29-31, for the eighth Special Session of the United Nations Environment Programme's (unep) Governing Council/Global Ministerial Environment Forum (gcss-8/gmef). The participants included 90 ministers as well as representatives of 13 un agencies, among others. The primary reason for the stalemate on the subject of improving environmental governance was that it involved issues perceived as attempts to convert the unep into a specialised agency. Among these were the granting of seats to all un members in the unep's gc; strengthening the unep's scientific base, which includes the possibility of creating an intergovernmental panel on environmental change; improving unep's financial situation; and ensuring better coordination among and effectiveness of multilateral environmental agreements. The issue of universal membership of unep's gc found strong support from the eu and Switzerland. But countries like the us opposed it. Under this, every un member would be able to intervene and vote on decisions during meetings. Currently only 58 un members can participate in the gc, and the un General Assembly elects new members every three years. Seats are allocated on a regional basis. Asia has 13 of them. "The us stressed that what is important is universal participation, not membership," said an official from the Indian delegation. India did not emerge with a position on the subject and constituents of the g-77/China, too, were divided, the official added. 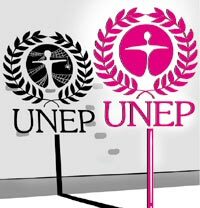 Finally, it was decided that the unep's executive director would continue to invite views on the matter and report to the 23rd gc in February 2005. The idea of forming an intergovernmental panel on environmental change also faced stiff opposition from Japan, g-77/China and the us. The matter had earlier been discussed at an intergovernmental meeting in January 2004 where many countries were against it (see: 'UNEP non-science', Down To Earth, February 29, 2004). The creation of any new body would be difficult unless the unep addresses its financial situation. In this regard, it had previously striven to increase contributions to the Environment Fund and to ensure more predictability in the inflows. A scale of contributions was agreed to, as per which each member to contribute a minimum of 0.001 per cent of the fund's biennial budget. The maximum ceiling would be 22 per cent. The exact amount to be given by individual members would, however, be based on their share in the world economy, offset by economic and social factors. A voluntary indicative scale of contributions was implemented as a pilot phase, which did lead to an increase in funding. But, like other issues, the Jeju meet failed to reach a decision regarding the indicative scale of contributions too. While the eu and Switzerland urged countries to utilise the scale, g-77/China stressed that developed countries should contribute more. However, developed nations like the us and Japan said they did not wish to use the scale. The environmental aspect of water, sanitation and human settlements was also discussed at the meet. These subjects would be reviewed at the forthcoming meeting of the Commission on Sustainable Development (csd). The unep's inputs will serve as the environmental components in the csd's work.